I’m in a pretty good mood today not only because the sun’s shining and it’s my day off (hooray!) but I think I finally have my sewing mojo back. Phew. I was getting worried! Since before Christmas I haven’t really sewn much and that wasn’t because I was lacking ideas (there will always be way too many in my head) but, to be honest, pretty much due to the fact that I just didn’t feel like sewing. Instead I read a lot and started sketching again. I haven’t done either in a while and normally I only read during break times at work or on the train. Curling up on the couch with a good book and a cup of coffee on a rainy day is awesome! I used to do that all the time, but since I took up sewing I always feel I need to be productive, which sometimes can be quite annoying. I can imagine that many sewists feel that way. After a really busy time at work I just needed to do nothing, which I did. I even put the sewing machine AWAY which never ever really happens. Usually I would feel really bad about not sewing or blogging or at least photographing my makes, but this time I finally realised that I don’t have to. 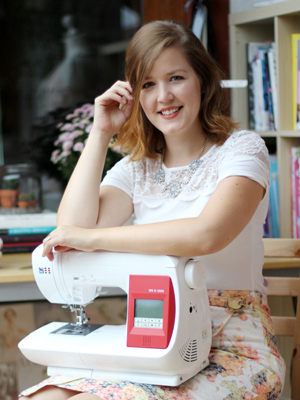 I sew because I love to sew, so why should I force myself to keep going if I don’t feel like it. And I also stopped worrying that I wouldn’t get my mojo back a long time ago. Making my own clothes has become a major part in my life which won’t go away just from taking a little break. Sooo anyway, the sewing machine is sitting on our living room table again, there are threads and fabric scraps scattered all across the floor and sewing magazines are taking over the couch. Everything is back to normal! Ok, ok, I will stop rambling now and start talking about the dress. 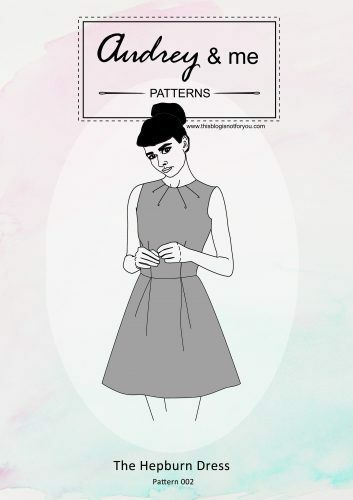 The pattern is the Lola Dress by Victory Patterns. I bought it last summer during a little festival in our local park from the lovely ladies of the Village Haberdashery who had a little stall there. 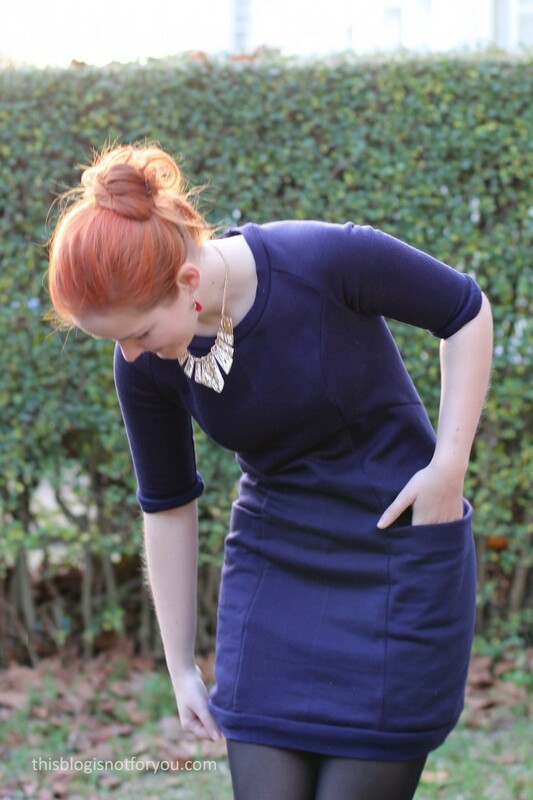 I just really liked how comfy and casual this dress looked – not the typical ‘fit-and-flare’ sewing pattern. It’s modern, it’s quite sporty and it looks like something you could buy on the high street. The pattern suggested using 1.5 metres of fabric for making the dress, which I have to say is way more than you will need. My fabric was 60in wide and I used just about a metre to make this dress without any alterations to the pattern. FYI, I made up a size 6 (this must be US sizing?) and graded up to a size 8/10 around the hips. 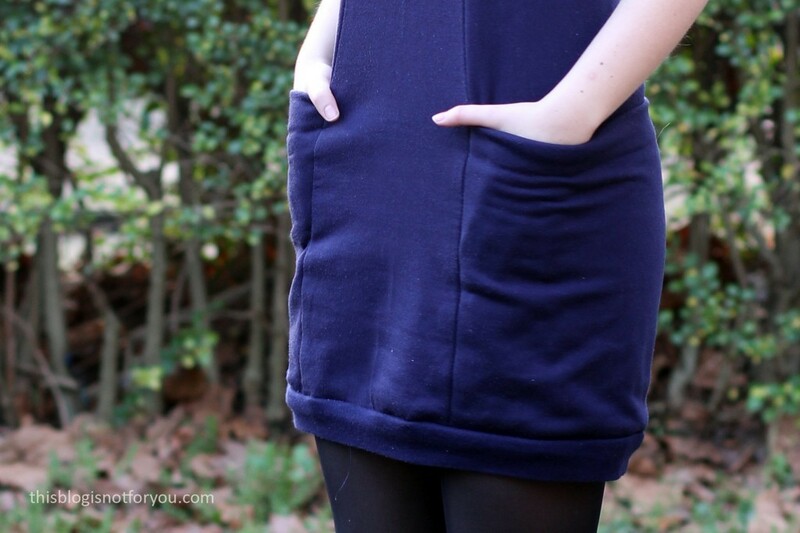 I had enough fabric left to make a longsleeved sweater, which I blogged a few weeks ago. 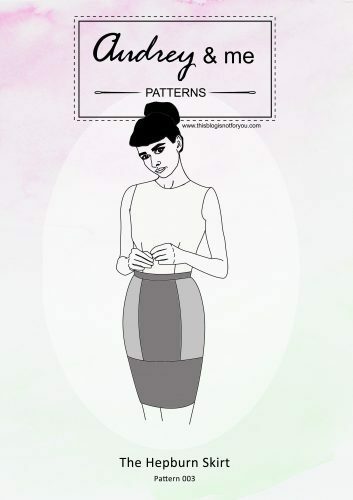 The only tiny alterations I made to the original pattern was omitting the ‘V’ detail in the front and the top-stitching on the pockets. I don’t normally wear sporty clothes, so the ‘V’ was definitely too much for my taste! I feel like leaving it out makes the dress a little bit more classy. 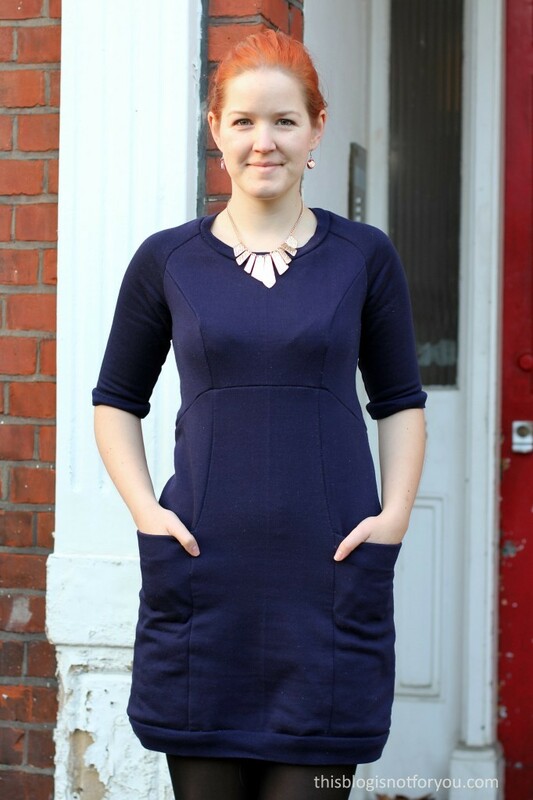 I generally like the fit of the dress – it’s insanely warm and comfy and the best thing to wear at work on a really cold day. 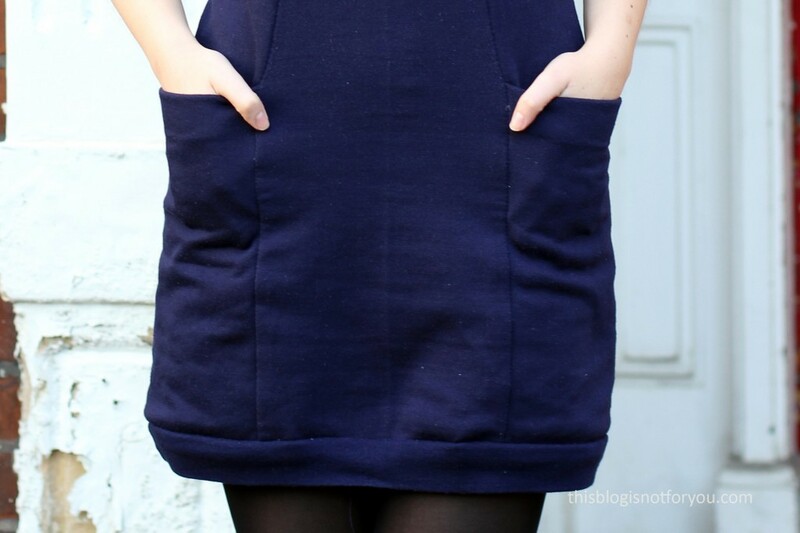 I’m in love with these massive pockets. I’m not quite happy with the sizing of the pattern; I normally wouldn’t be a size 6 ( I guess it’s US sizing), but the sizing chart suggested that I was. The finished dress fits alright around the bust area but the sleeves and shoulders are a tad too tight. So the bodice fits me like a normal UK 8 or 10 but the sleeves are definitely much much smaller than that. I normally don’t have an issue with sleeves, so I guess it really just is the pattern. Something that I can easily adjust next time I make it, but this also means I have to trace it again, meh. Probably. Maybe not exactly the same version but a variation of some sort. I have to trace it again to adjust the sleeve sizing, which is a little annoying so I might wait a little before I give it another go. I really liked the princess seams and the high waistline that drops in the back, so maybe I will copy this detail and change the rest a bit. How good that you got it out of 1m! I say you should play with some colour blocking on the next one. This is really cute though and I love the colour on you. This looks like it is so cosy to wear but not too sporty – your accessories make it look office appropriate! This is so lovely! One of my favorites that I’ve found yet! Doing a little recon before starting mine… 😉 I hear you on the sewing mojo thing, after the holidays I just wanted to curl up in a ball and get cozy every night after work. But now I’m craft-hungry again! If you do a variation of this, def check out Mad Mim’s version – she did a top I think you could rock.